This mustard pot comes with a woden spoon to serve an present mustard. Very elegant! Available in white. 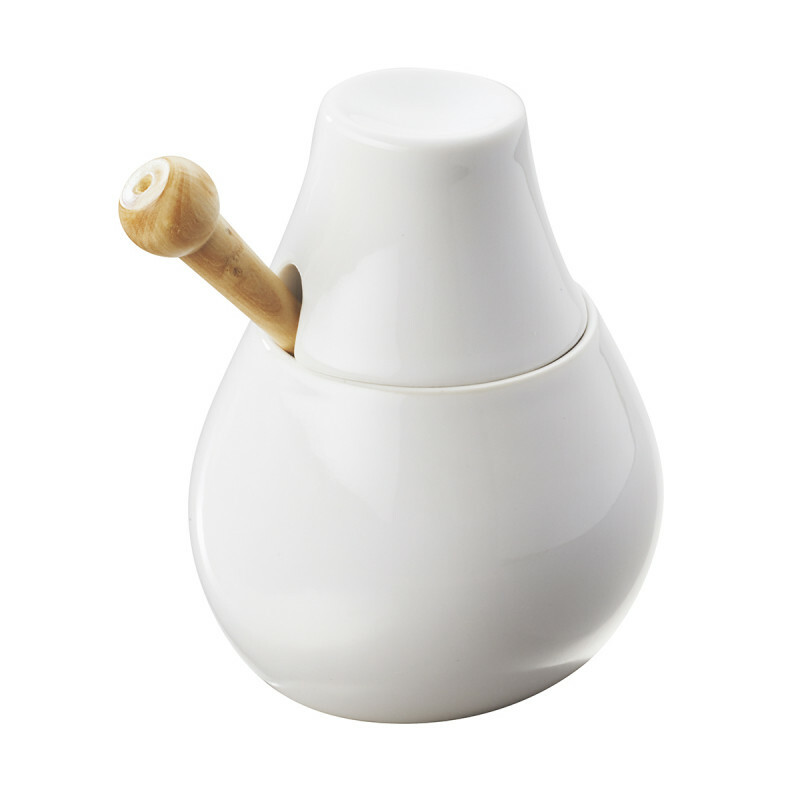 This mustard pot Likid perfectly fit with the black and white salt&pepper set on tray Likid.